Hi everyone!! Today is a special blog post as my book, Real Love, is making the book tour rounds on several blogs. Today, the book decided to stop at my own site. 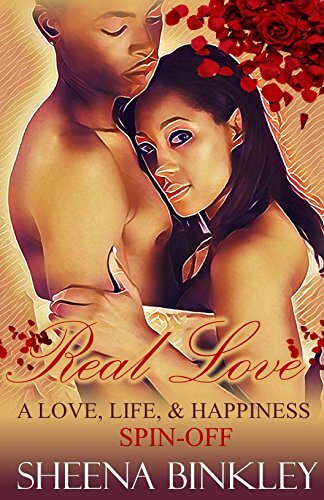 If you haven’t read this story from the Love, Life, & Happiness series, then you should definitely give it a shot. Creative Expressions Literary Services is pleased to announce Virtual Book Tour for Real Love by Sheena Binkley. The tour will run August 27-September 2, 2017. 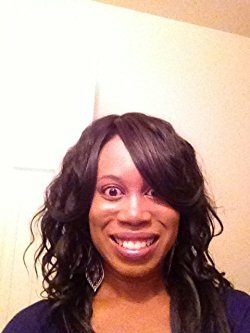 To date, her best-selling novels include In Love With My Best Friend, Love Unbroken, Something Just Ain’t Right, and The Love Chronicles. Shawn and I have been in love with each other since our first encounter in college six years ago. Despite our share of ups and downs, the two of us have a bond that no one could ever break. No matter what, we have supported each other; so when Shawn accepted a position in Atlanta, I wasn’t too happy about moving, but I would do anything for him. With living in a new state, things can become very complicated. I know our love is strong, but is it strong enough to get through the issues we’re currently facing? Good Evening everyone! I hope you all had a wonderful Monday. I know some of you have probably seen this giveaway under my “Contests & Giveaway” section on this blog, but I wanted to fully advertise the cool giveaway that I have started on my newsletter! For this giveaway, you will be receiving two great prizes: An Amazon Fire and a $10 gift card from Amazon! That’s right, not only are you receiving a brand new Amazon Fire but $10 to spend on books to add to your new tablet. How cool is that?! The wait is over! A Love, Life, & Happiness Christmas is finally available! Spend the holidays with the LL&H crew as each couple are faced with decisions that will change their lives forever. A Love, Life, & Happiness Christmas is also available on Kindle Unlimited, or you can 1-Click for only $0.99! Love, Life, & Happiness: The Lost Story is available now only on Amazon. 1-Click for $0.99 or read for free with Kindle Unlimited! Part 2 will be available on August 26th! Hi everyone!! Love, Life, & Happiness: The Lost Story, will be available on Kindle and paperback soon! The four-part series is the original version that was written back in 2004. Some of you are probably wondering what is the difference between the original version and the recent published version. If some of you were able to read The Lost Story on my blog, then you probably would know some of the differences. But to get you ready for part 1, here are the six things you will need to know about The Lost Story. 1.The Story: When I wrote the original story, I tried to incorporate my college experience into the story as well as the characters. As mentioned in a previous blog post, I used some of the personality traits from some of the people in my life to make up some of the characters. 2. Riana & Shawn: Everyone knows how much I love this couple and it shows with their storyline. With The Lost Story, some of the storyline is similar to Love Unbroken, but with a bit of a twist. 3. There is no Jayden: With The Lost Story, Ri is an only child, so there is no Jayden. Instead, Chris, who is Shawn’s best friend, is in the story. Also, Nathan and Zack are not in this series. 4. Marcus is a cop: And he doesn’t appear in part one until towards the end of the story. But he does make a huge impact in part 2, which some of you probably won’t like, especially since he will come between Ri and Shawn. 5. Couple Swapping: This series will have a lot of couple swapping. You probably won’t look at the characters the same way after you read parts 1-3. 6. Monica: Monica is the same character in both versions. So much so, that you all will wonder how Donnell puts up with her. You have to read the series in its entirety to find out just how much. There you have it. Part 1 of The Lost Story will be available tomorrow, so get ready to read the highs and lows of the crew as they get through their sophomore year at Shaw University!